We all have become accustomed to popping Ibuprofen for every little ache or pain, and thinking nothing of it. So what’s the problem? It turns out that using non-steroidal anti-inflammatories on a regular basis, instead of when absolutely necessary for severe pain, can pose a serious health hazard over time. 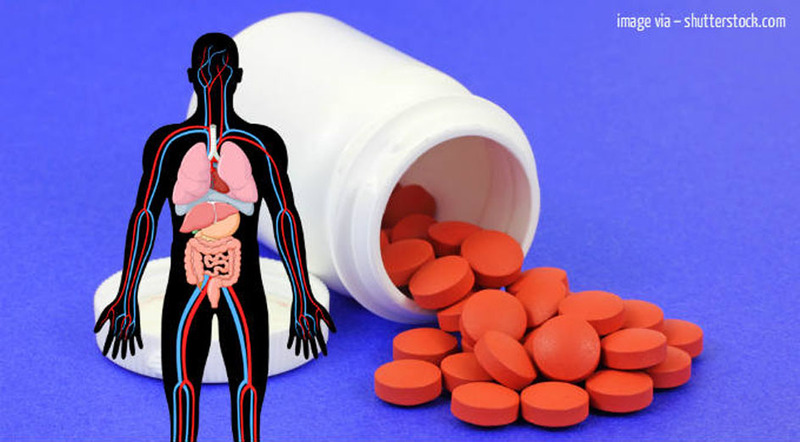 As you will hear in the video you are about to watch below, recent research has found that chronic use of Ibuprofen will eventually cause heart muscle to deteriorate. By the time you are 40 years of age or over, such regular use can result in a heart attack that could be deathly. Doctors are now seriously warning patients to only use ibuprofen when absolutely necessary. Aspirin, as you will hear, does not present this danger to the heart but does impact stomach health. Some conditions require daily pain management, so what’s a person to do? Asian medicine has long used TURMERIC as a natural, non-toxic means of pain relief. It’s efficacy for treating osteoarthritis, a common source of pain as we age, was found in a study published by the Journal of Alternative and Complementary Medicine. Patients who had been diagnosed with osteoarthritis of the knee, were either treated with 800 mg of Ibuprofen or 2,000 mg of Turmeric. After 6 weeks, pain level was compared between the two sets of subjects as they performed various forms of daily types of exercise, such as stair climbing, walking and biking. Those who had taken turmeric had significantly less pain than the ibuprofen subjects! A proven turmeric “cocktail” that will make your life substantially pain-free can be made by: Mixing a Tablespoon of Turmeric Powder, one cup of Honey and squeezing the juice of one Fresh Lemon; Stir this mixture with a wooden spoon and Pour One Teaspoon into Warm Water or Tea 3X per day. Many health food mavens mix this into fruit or vegetable shakes. Get rid of that Ibuprofen, and live a long healthy Pain-Free life! Please SHARE this important HEALTH information with your family and friends; it could SAVE A LIFE!